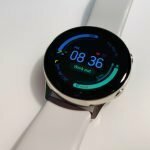 Smartwatches and fitness trackers haven’t been around for all that long but like smartphones, last year’s model can seem like old news but there are advantages to choosing previous smartwatches and fitness tracker models. An obvious advantage is the price savings. The costs can be as much as half or less of what the full retail originally was. Secondly, a lot of the software bugs have probably been worked out. 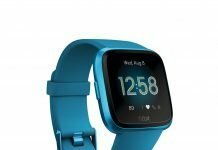 As the owner of the new Fitbit Versa, I’m certainly enduring some early bugs that still need addressed. 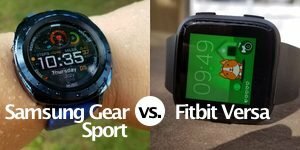 So, I’ve selected some of the best smartwatches and fitness trackers from yesteryear that really aren’t that old but are still very good options if you’re wanting to save money but still have a watch with some of the best features name brand smartwatches and fitness trackers have to offer today. 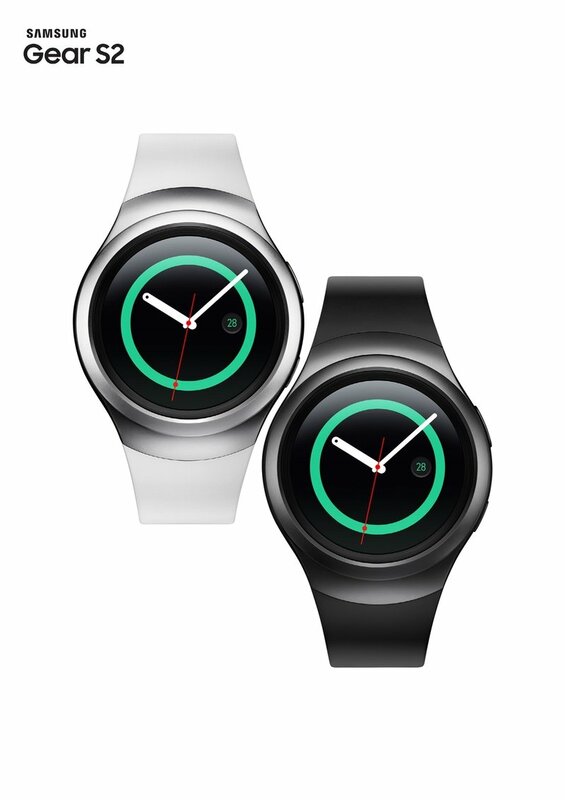 The Samsung Gear® S2 (View on Amazon) has been around for a while. 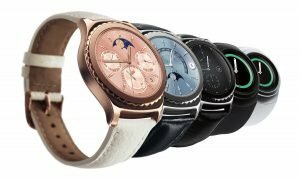 The Gear S3 and Gear Sport are newer with the Gear Sport being the newest but the S2 has many of features that both newer versions have. The Gear S2 comes with that rotating navigational bezel that Gear smartwatches have come to be known for. It also has a 360 x 360 1.2 inch AMOLED touch screen display and supports the downloading of apps and widgets to check the news, weather, and connect with many of your favorite third-party mobile fitness apps. The Gear S2 has several styles to choose from a shown in the image below from classic styles to more sporty looks. For music, the Gear S2 has 4 GB of onboard storage for music you’d like stored on the watch and supports Spotify as well as having the ability to control music stored on your phone. 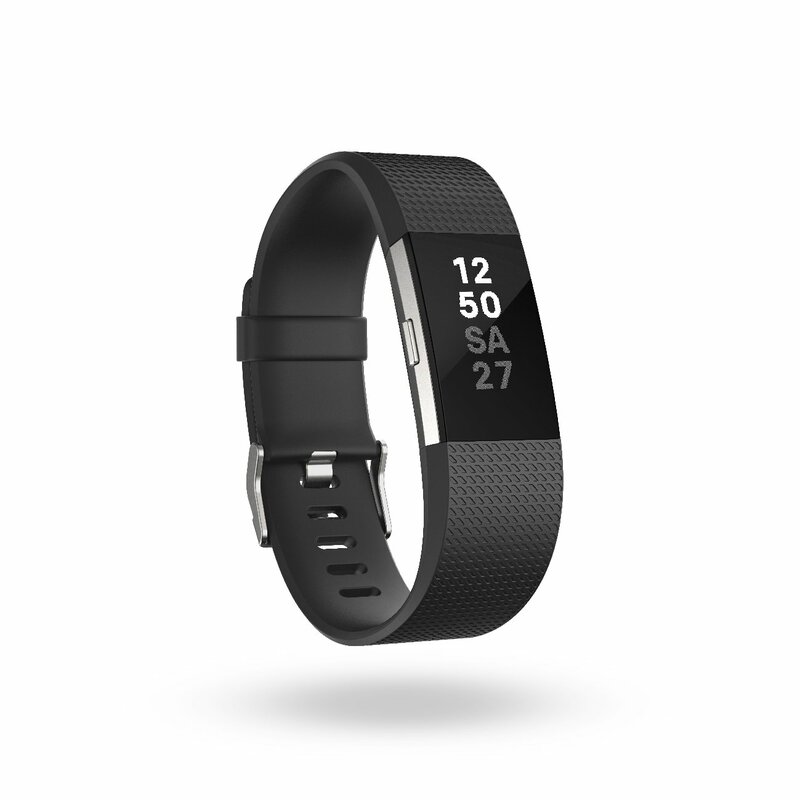 Of course, it does fitness tracking and has a heart rate sensor, accelerometer, gyroscope, barometer, and ambient light sensor. The S2, and S2 Classic sports a mic while the 3G version has a mic and speaker and can be a stand-alone phone to make and receive phone calls. The watch is built of stainless steel, Gorilla Glass, and is rated IP 68 for dust and water meaning it offers good water resistance but it isn’t recommended for swimming. If you can catch the S2 on sale or pick up a good used or refurbished unit, you’re going to save quite a bit of money off its original retail. 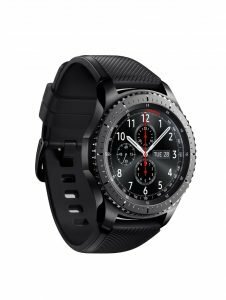 You might want to check out the newer Gear S3 (View on Amazon) version too. The advantage of choosing the Gear S3 is that all S3 models have a mic and speaker, so you can make and answer phone calls through Bluetooth, as long as you’re connected to your phone. There’s also a 3G version like the S2. The Gear S3 also supports Samsung Pay™ for wireless payments, if your bank supports it. Also, only the 3G version of the S2 has built-in GPS while all versions of the Gear S3 does. A downside to the Gear S3 is that it is heavier than the S2. However, it’s still a very popular watch, especially the Frontier version which has that classic, rugged look that a lot of men in particular like. 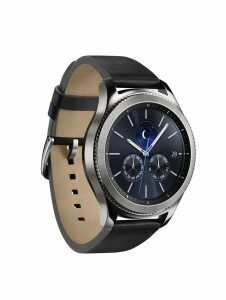 The Gear S3 certainly still has a solid fan base. It works best with Android, especially if you have a Samsung smartphone but also supports iOS. The Gear® Sport is its own critter and didn’t replace the S- lineup so we can expect a new version, presumably named the S4 but possibly something else, probably in fall of 2018 but nothing has been confirmed at the time I’m writing this. 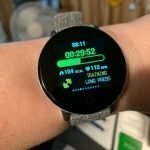 Originally released in 2015, the Fenix® 3 (View on Amazon) has many of the features that the newest Fenix 5 has minus an optical wrist heart rate sensor which is probably the most important difference, at least in my opinion. I think people have come to expect HR sensors on their GPS/fitness trackers these days. But you can pair an external chest HR strap with the Fenix 3 (and Fenix 5) and take advantage of more accurate heart rate data. 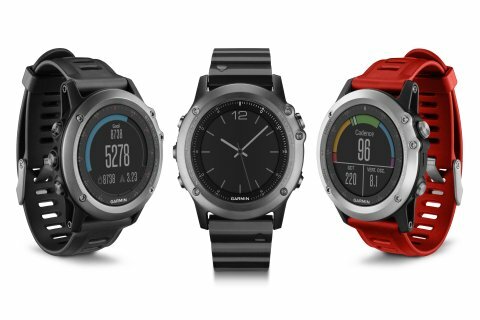 Another important difference between the Fenix 3 and Fenix 5 line-up is that the 5 comes in three different sizes. I personally own the Fenix 5s (View on Amazon) which is the smallest version and ideal for women or those just wanting a more traditional-sized watch to wear on a daily basis. The Fenix does about anything and everything you could possibly want to do as far as fitness tracking goes. It supports great navigational features for hiking and other outdoor activities. As far as GPS watches go, the Fenix is what you compare everything else to. 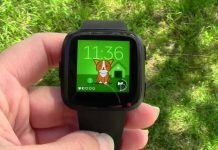 It doesn’t have those handy smartwatch features like the Samsung Gear watches do however such as being able to respond to notifications, make or receive phone calls (on certain models of the Gear S2 and S3), or support music storage on the watch but for the serious athlete or outdoor enthusiast, the Fenix 3 and the newest Fenix 5/FX/5s (there wasn’t a Fenix 4 version), it’s really hard to beat the Fenix. The major drawback to the Fenix is of course its’ price tag but if you get an older model, like the Fenix 3, you’re going to save hundreds of dollars. 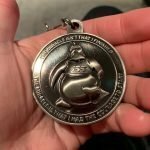 Even the Fenix 5 has come down in price since it’s been out now for over a year now. The Fenix is ideal for outdoor sports with its transflective display that looks great in bright sunlight. It also has LED backlighting for darker conditions. 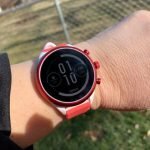 It has a premium build quality that should be able to handle about anything you throw at it and Garmin is really good at supporting their older watches. I’m still getting updates for my first edition Vivoactive. Garmin doesn’t leave their customers or products in the dust when a newer version is released. The Fitbit Charge® 2 HR has been around for a while now and I’m expecting a newer version possibly in the fall of 2018 but the Charge 2 is still a very good option for those wanting a Fitbit. The Charge 2 HR (View on Amazon) is going to track your steps, heart rate 24/7, distance, calories burned throughout the day, floors climbed, and active minutes. It also automatically tracks your sleep. The Charge 2 has been Fitbit’s most popular device, although the newer Versa may knock it out of first place given enough time. The major drawback to the Charge 2 HR is that it doesn’t have a built-in GPS but rather uses connected GPS which requires having your phone close by to track outdoor activities you want distance measured. 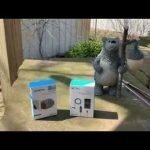 Fitbit has its’ solid fan base too and I have to admit that the new Fitbit Versa (View my review of the Versa) has become my favorite everyday watch to wear, even with its early bugs that need to be worked out. 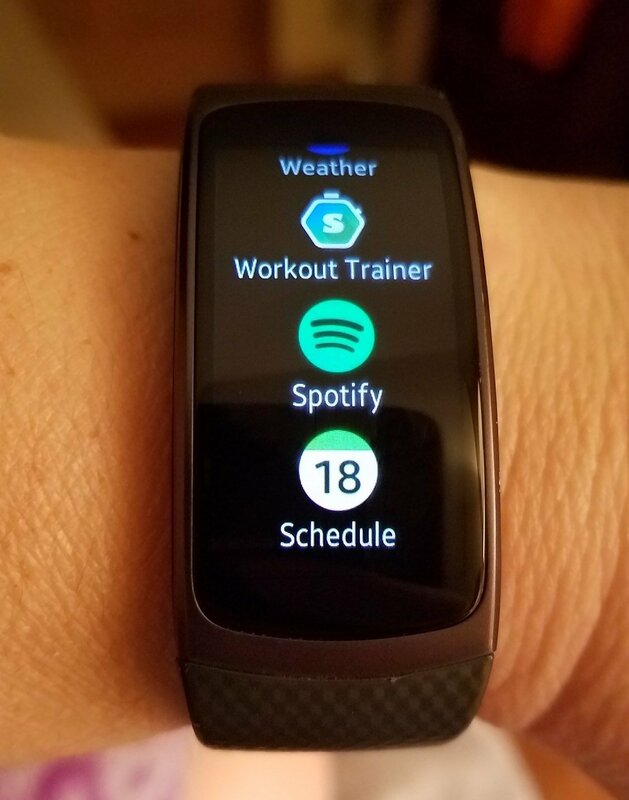 Personally, I’ve always been a fan of the Samsung Gear Fit® 2 which I think blows the Charge 2 HR out of the water when it comes to features but it’s most compatible with Android smartphones since you’re going to be able to take use all of its features like responding to notifications with quick replies. The Gear Fit 2 also supports on-board music storage and Spotify™. The Gear Fit 2 also has a built-in GPS and a full-color responsive screen. I’d recommend going ahead and getting the newest Gear Fit 2 Pro (View on Amazon) version since it supports swimming. Even if you don’t plan to swim with it, it’s a good idea to have a waterproof watch in case you ever do want to wear it to the beach or near water. It also has a better strap. The Gear Fit 2’s strap had a tendency to come loose and some people lost their watches because of that. 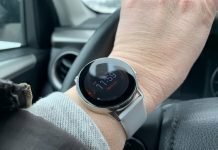 Even though the Gear Fit 2 Pro isn’t the older version, it too has come down in price. 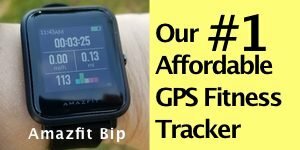 I’m not sure how long these oldies but goodies will still be available on Amazon or elsewhere but if you want to save some money but still have a fitness tracker with solid features and tracking abilities, these are all good options.